We’ve made powerful reporting even more powerful! 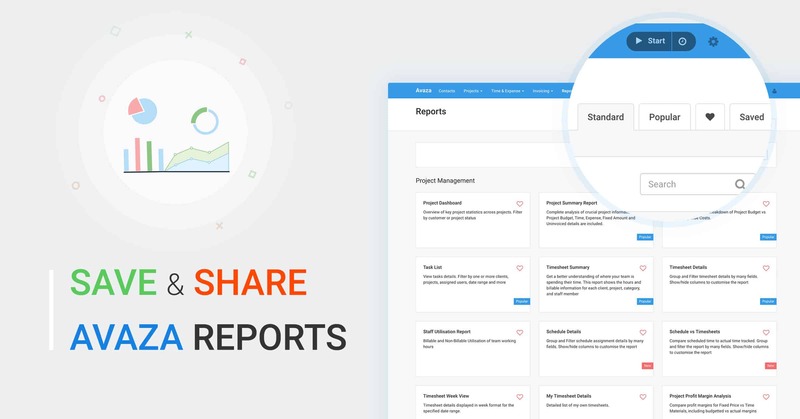 Favorite reports to make them easier to find, save reports with your desired filters and re-run them in seconds, or share reports with your team members as needed. We’ve made it easier than ever for you to keep track of all the important metrics for your business, with numerous report variations available to you based on your specific needs. 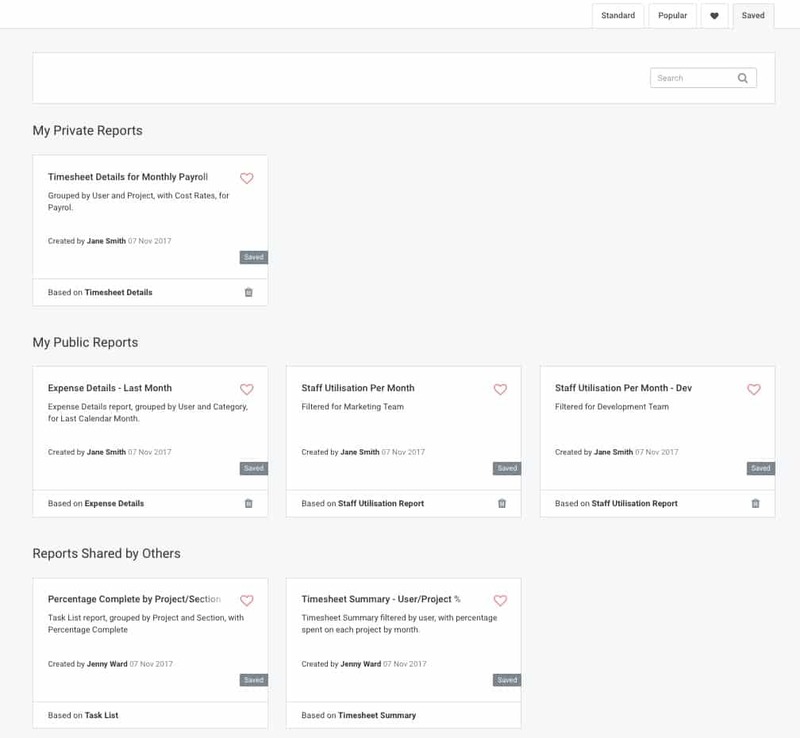 Navigate to Reports to see our new reporting dashboard. View all Avaza reports available to you (based on your user role). Reports have New and Popular tags, to highlight reports that have recently been introduced or are considered popular by our team. 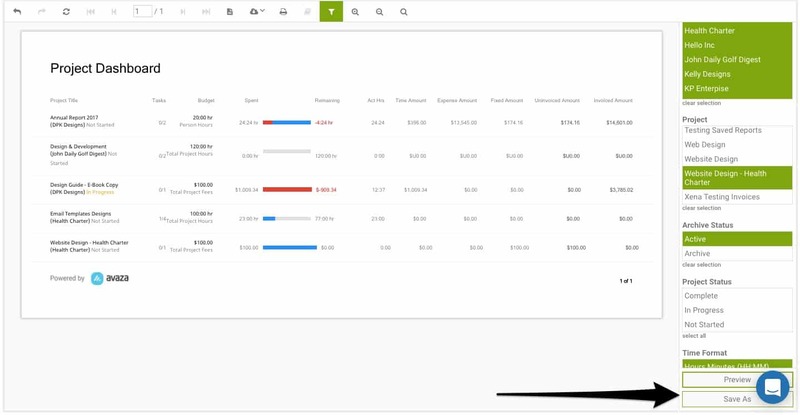 Search for reports using our new search field, or find reports in the appropriate section: Project Management, Finance, Expenses, and Exports. Based on our team’s input we have highlighted the most popular reports in Avaza. 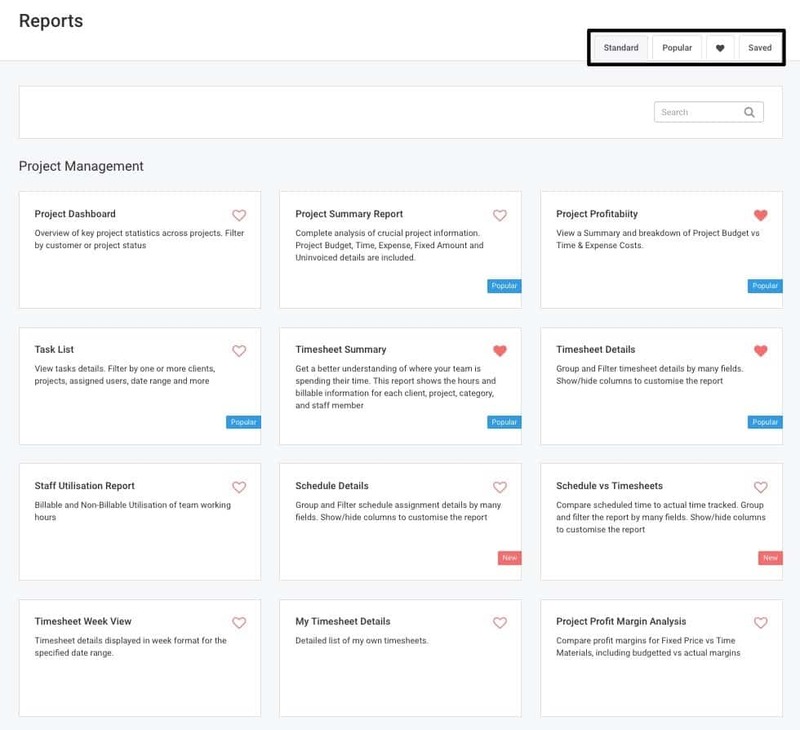 Use this tab to quickly find a useful report for your needs, or check out the reports our team thinks you should definitely explore! Have a few reports that you turn to again and again? 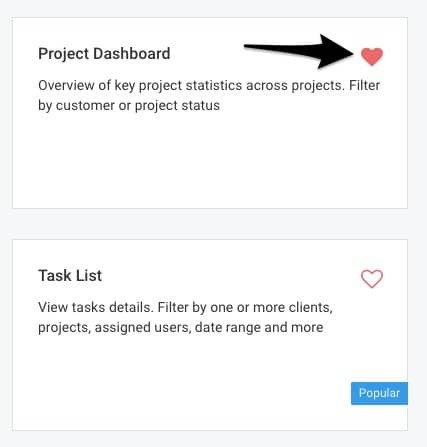 Clicking on the Heart icon favorites a report, and adds it to your Favourites tab. We list Standard reports and Saved reports separately in the Favorites Tab. Tired of choosing filters again and again? While viewing any Avaza report, you can now click on the Save As button and save the report filters. Enter a Title for your Saved Report, as well as a Description, and choose whether it will be visible to just you, or other team members (based on user role) as well. My Private Reports: All Saved reports that you have marked Private. My Public Reports: All Saved reports you have shared publicly. Reports Shared by Others: All Saved reports made public by other team members. 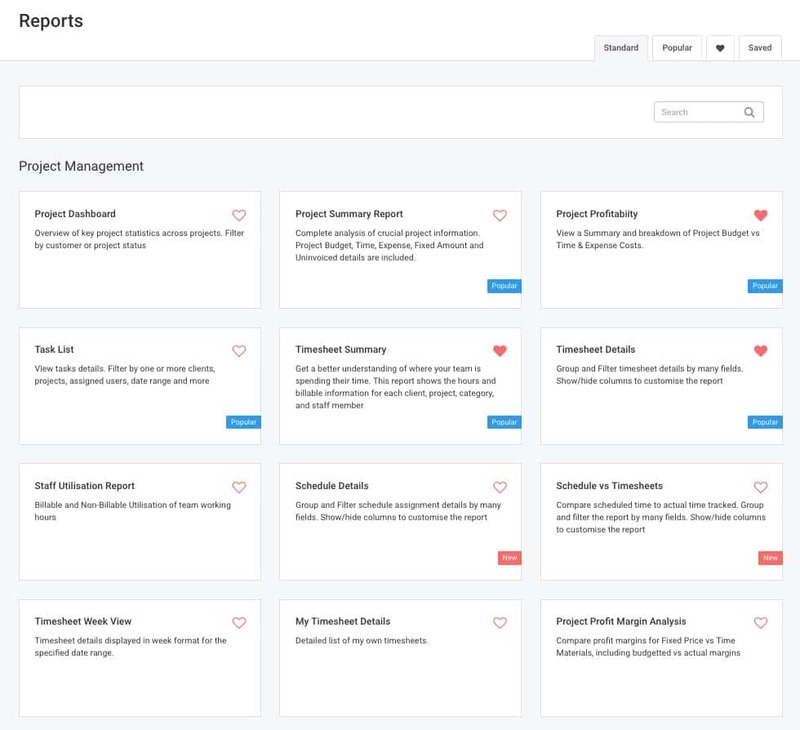 We’re extremely excited about this upgrade to our reporting module! We know a lot of you have been waiting a long time for this and would love to hear your thoughts, suggestions for reports that should be tagged Popular, or other feedback you may have! Long awaited but looks like it was worth the wait. Looks great and appears to be very intuitive. The ability to save reports will save us significant time at month end and will reduce the risk of errors (from setting filters incorrectly). 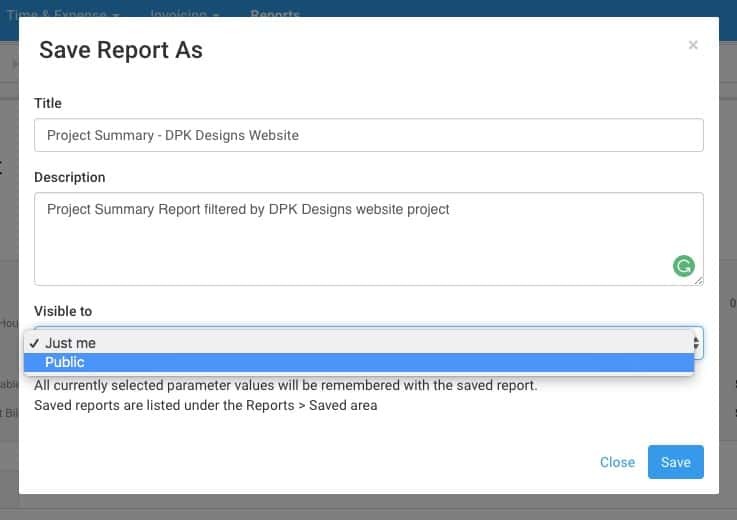 One additional feature would make it perfect – the ability to lock (preferably hide) filter fields so that the person running the report can only change designated fields. For example we have a set of reports where the only fields that the person running the report should be able to change are the user and dates fields. How about adding a list of the filter fields applicable to that report to the save-as pop-up. With a checkbox against each field. Checked fields would then be hidden when the report is run.